Swing Out New Hampshire takes place at Camp Wicosuta, a traditional summer camp in the heart of the Lakes Region of New Hampshire. We offer four full days of classes and five nights of social dancing. SONH is a refuge from the everyday world, a total immersion experience and a place with a real sense of community. Hundreds of friendly, enthusiastic dancers come together to learn from many of the best dance teachers in the world, dance to exciting live bands and DJs, and have fun! Camp Wicosuta is surrounded by trees and hills, and has both a pristine mountain lake and an outdoor swimming pool. 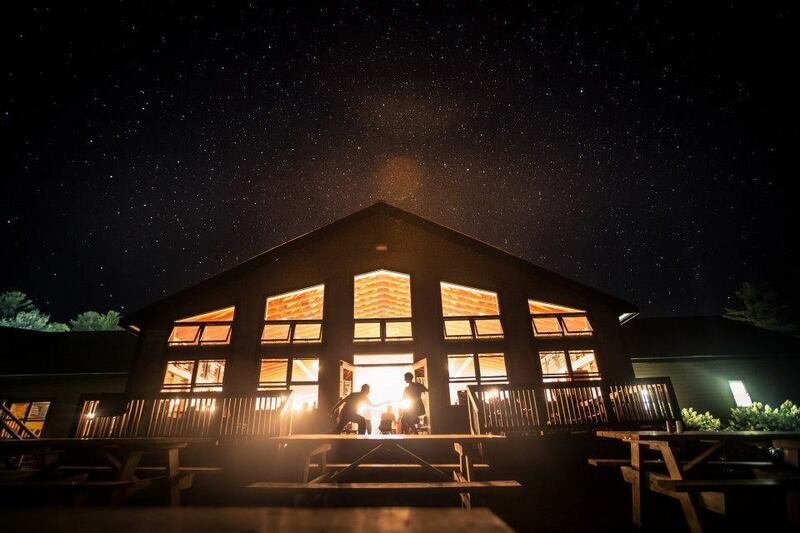 In addition to dancing, SONH offers many summer camp activities, such as a campfire sing-along, communal dining and housing, scenic walks, the SONH Cabaret, tennis, volleyball and basketball courts, as well as yoga classes and an on-site massage therapist. We learn, dance, eat, sing and play together, having a true summer camp experience! It's more than just a vacation... our campers go home renewed and inspired. Our curriculum focuses on tools to help you experience the full joy of social dancing. Our instructors stress connection – to our partners, to our own bodies, to the dance floor and to the music. All our teachers love to social dance themselves, and join in the evening dancing. Our campers go home re-energized and inspired. We're proud of our reputation as being the friendliest camp, with a real sense of community. We're also known as a place without any 'rock-star' vibes, a place where all ages are welcome, where everyone dances with everyone else, and where more advanced dancers go out of their way to dance with and encourage those who are less experienced. Our campers, instructors and support staff have all helped to create and perpetuate this atmosphere over the years. This year at Camp Wicosuta will be our 21st summer of swing dancing. Mike Thibault has been teaching and organizing dance events since 1998.